This month's installment of Tabletop Co-Op will be a bit different than usual. Generally, I cover board game card games that are currently in print, or at least easy to track down. Today, though, I'm going to share a recent experience I had playing a decades-old board game that has been modified and tricked out into something special: a one of a kind version of the Aliens board game. The Aliens board game was published way back in 1989. Based on the mega-popular sci-fi action movie of the same name, the board game was in essence a small scale wargame. Think cardboard chits and a thick rulebook. Unlike most wargames, however, Aliens was intended to be played cooperatively. Aliens followed a set of rules similar to those of the D&D Adventure board games like Castle Ravenloft and Wrath of Ashardalon. Move to the nearest marine, attack if in range, that sort of thing. Marine players worked together to meet the objectives of the included scenarios. Though the game was well designed, and certainly appealing due to the license and unique ruleset, it fell out of print long ago. Fast forward to last month, when I attended a wargame convention with my son and a friend of mine. Looking through the list of events running, we saw that Aliens was running every two hours. As a fan of the movie, I knew I had to try it. When we approached the table and saw the setup, my jaw dropped. I had never seen anything like it before. 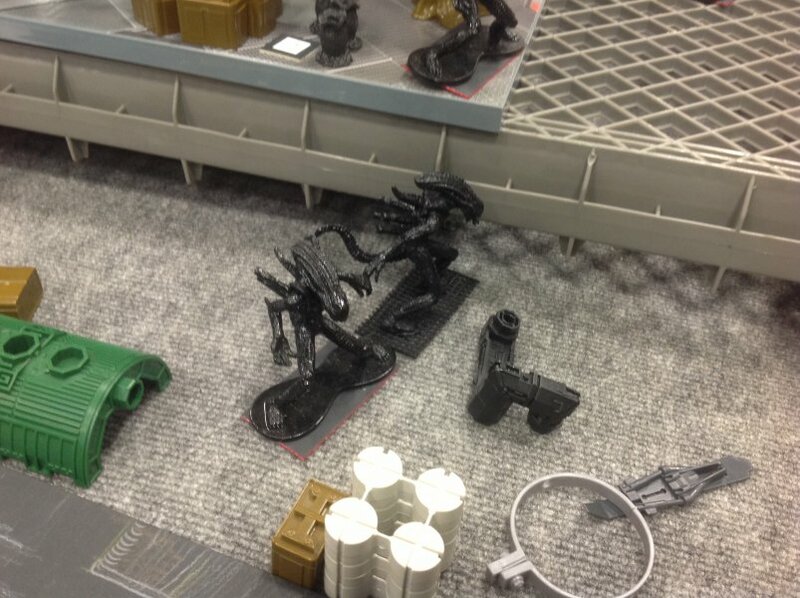 Two gentlemen were running the event, and they had boxes and boxes of custom terrain, dozens of marine and alien figures, player aid cards, and more. I was so astonished I asked them how they had managed to create it. They told me that they had obtained these glorious pieces from Aliens-based toylines, mainly a Palisades series released in 2004. 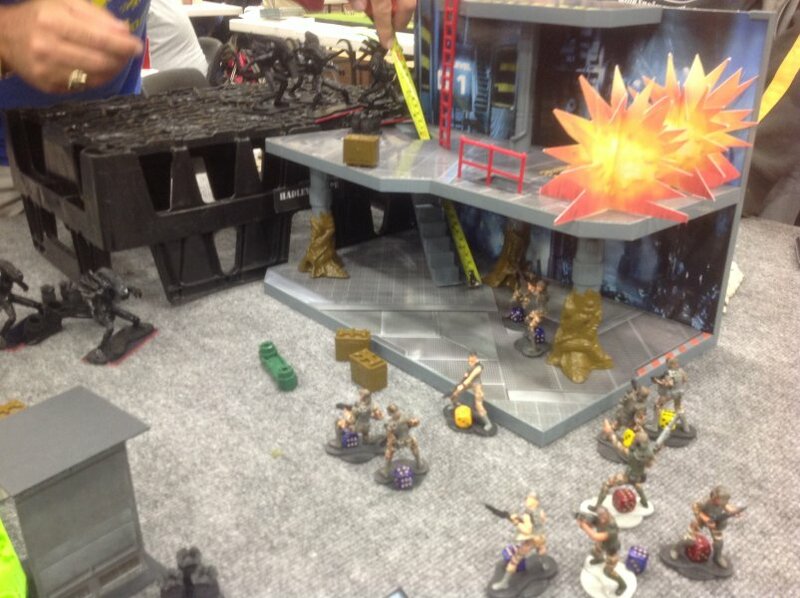 They had lovingly painted each marine, alien, and even an incredibly impressive queen alien "miniature". Paired with these amazing components was a streamlined ruleset based on the 1989 game. To say that we were impressed with the fruits of their labors would be an understatement.